Please note that we have made the very difficult decision to discontinue the Asparagus part of our Farming operation with effect from this season. On a happier note: Strawberry picking is on track, weather permitting, to start early to mid-June. PS: If you have any spare time please take a look at our 'Current Vacancies' page. Here at Wash farm we offer a back-to-nature experience for young and old. 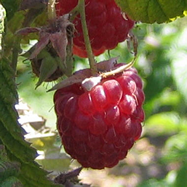 Whilst we have ready-picked fruit for convenience, our Mission is to encourage more customers to pick-their-own. A cheap, healthy activity all rolled up in one Holistic package, great FUN thrown in for good measure. Further encouraging Customers to bring their own containers to pick into helps reduce the impact of single-use plastics on the environment. At Wash Farm we have a very basic approach: No Frills. Freshness. Quality. Good Value for Money. If we aren’t happy with it on our table we won’t sell it. Situated on the A1017, 1 mile from Halstead, Essex, on the outskirts of Sible Hedingham village, Wash Farm stretches down to the banks of the River Colne. Our fertile loamy soils are well suited to the growing of quality Strawberries, Raspberries, Cherries, Gooseberries, Blackcurrants and Blueberries. We sell all our produce from the seasonal Farm Shop and Pick-Your-Own site from mid/late April through to mid August.